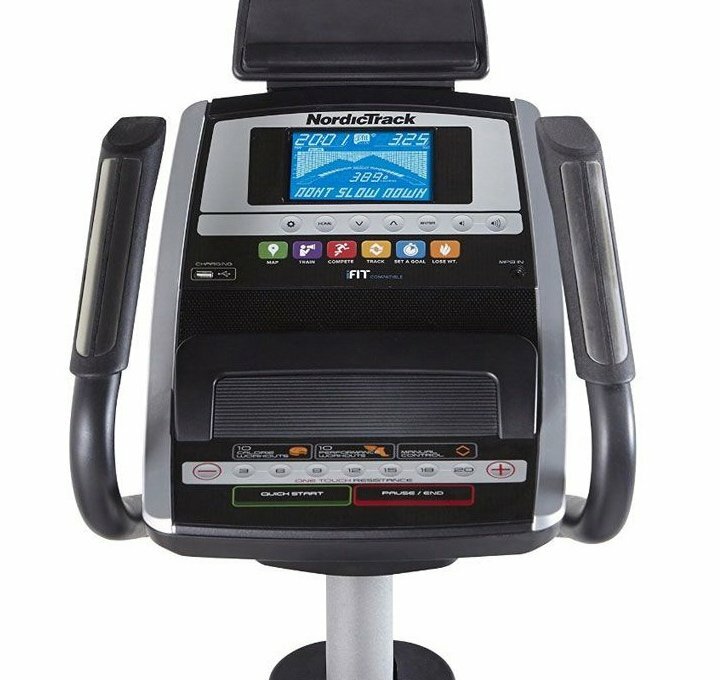 Featuring the latest in fitness technology, the NordicTrack E 7.0 Elliptical comes equipped with iFit, giving you the freedom to take your workout worldwide. 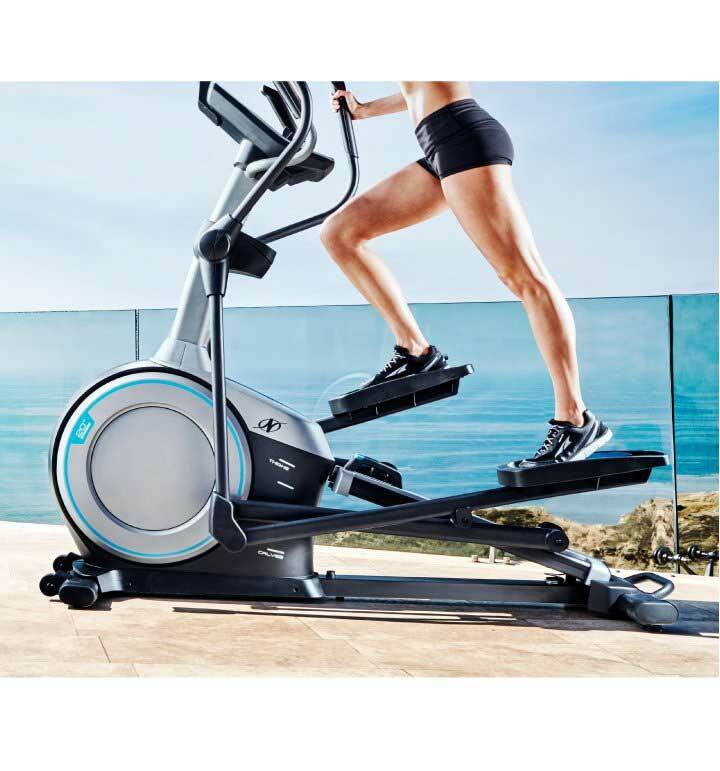 Largely adjustable stride and oversized pedals have been designed specifically to cater to your personal preference, optimizing comfort whilst you exercise. The flywheel delivers an even smoother, quieter ride for the most natural feeling motion available. 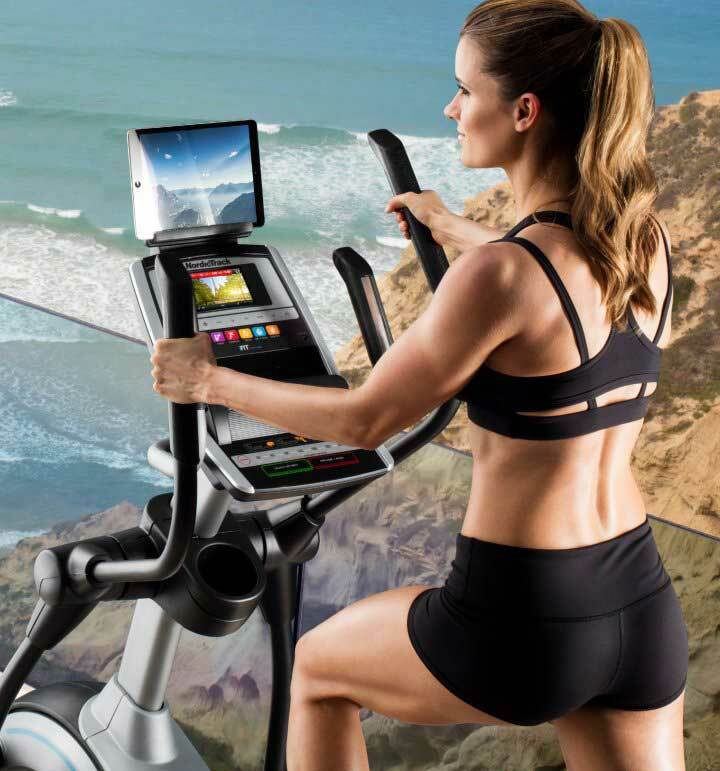 0 - 20 degree manual incline allows you to amp up the intensity of your workout and burn calories faster. 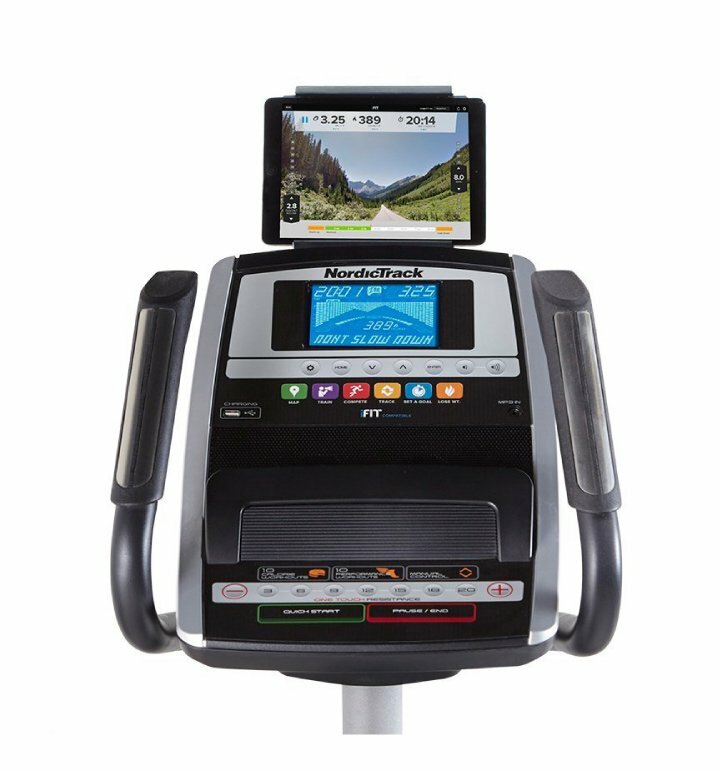 With 20 Workout Apps to choose from and 20 Levels of Digital Magnetic Resistance, the NordicTrack E 7.0 Elliptical will continue to challenge you, no matter what your fitness ability may be! You can stay motivated while you take on a low-impact workout that adjusts to meet your fitness goals. 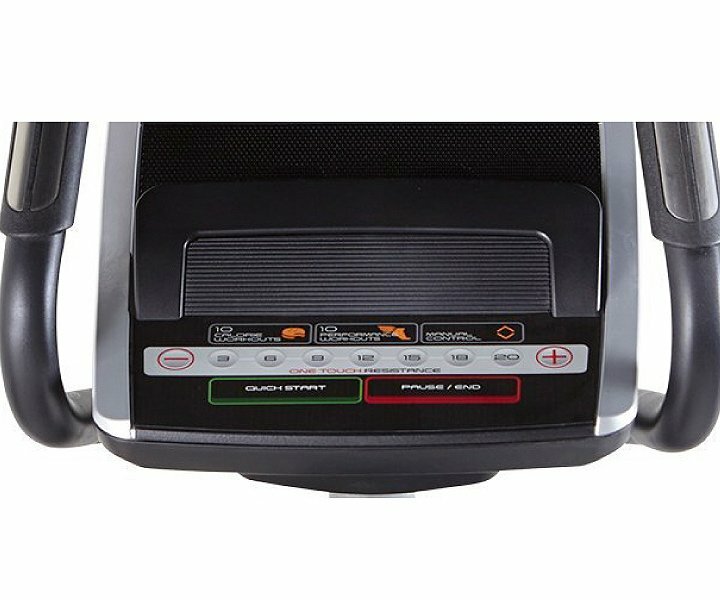 Adjust the incline ramp to target specific muscle groups or change your resistance at the touch of a button for more intensity. Bring your favorite music and movie files to your workout with the integrated tablet holder, USB charging station and sound system. 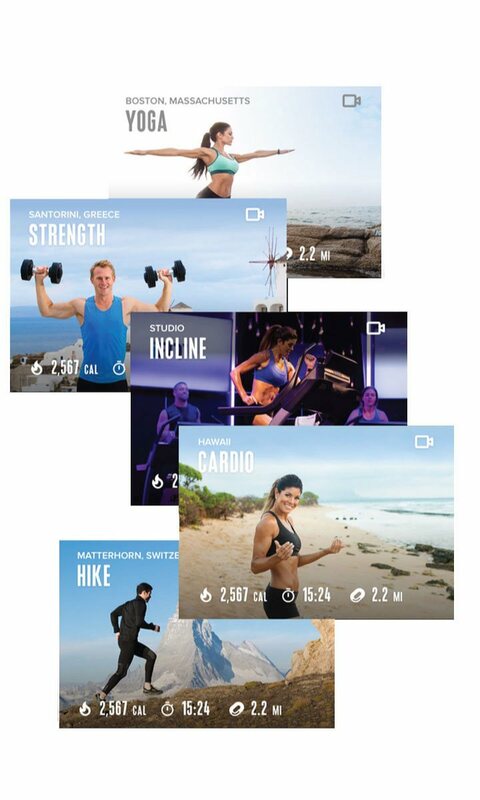 Get the training you want with built-in workouts designed by a Certified Personal Trainer to help you reach your fitness goals. Choose from 10 calorie and 10 performance workout apps. 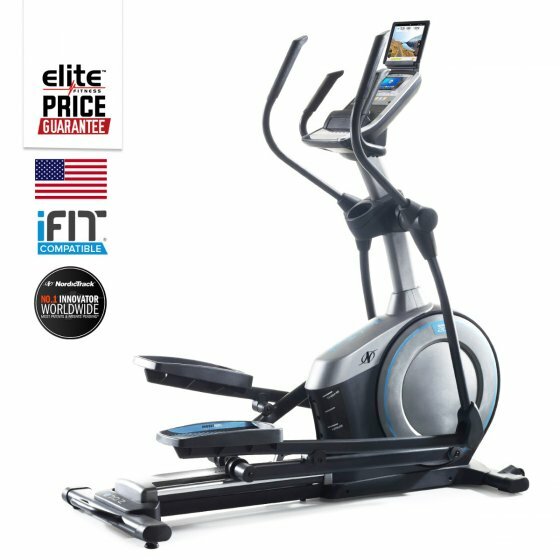 Incline: 0°- 20° Adjustable Incline which adds extra levels of intenisty to your workouts. Flywheel: The 9kg Inertia-Enhanced Flywheel gives you a smooth and steady pedal stroke with the effective inertia made to perform. USB Charging Port: Charge your device while you stay entertain throughout your workout. Transport Wheels & Lifting Handle: Simply take hold of the convenient lifing handle to lift and wheel the machine to your desired position.